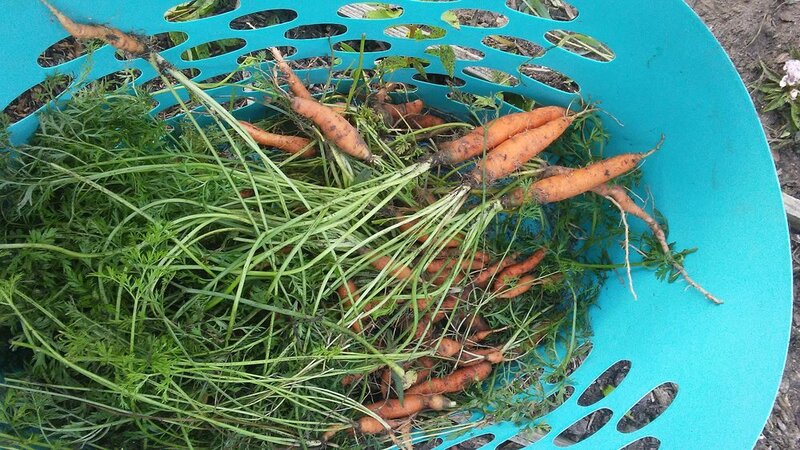 Harvest of carrots late August - from a 50 cent packet of seeds …. grateful for glorious flavor ! Despite great heat in August, and only occasional rain, this morning I dug a great harvest of delicious carrots, sown in April from a 50 cent packet of seeds. Grateful! 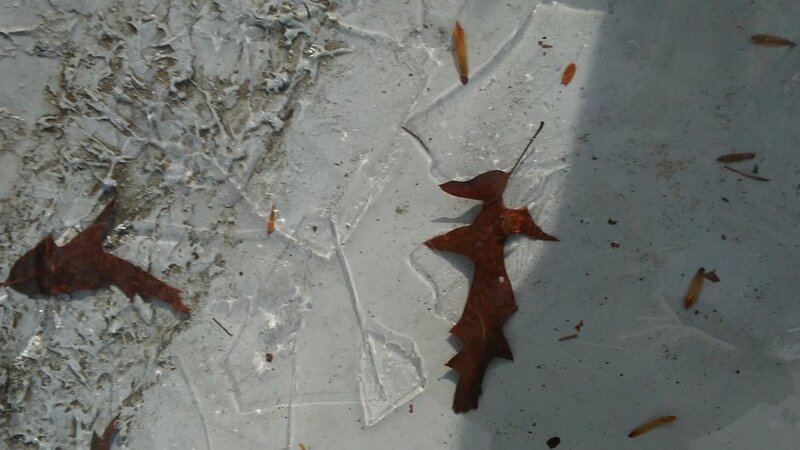 The power of the tiny crocus leaf piercing the oak leaf as it grows, blooming in the February warm-up in Maryland. Spring has gone by so quickly - in Maryland it is a speeded-up movie .... daffodils, tulips, peonies, honeysuckle .... asparagus and now the harvest of garlic, new potatoes, zucchini. Gladioli love this garden, seed themselves and come back in quantity each summer ..... and the lilies stay out in the cold winter in their planters, their seedlings growing larger each year. Grateful !!! 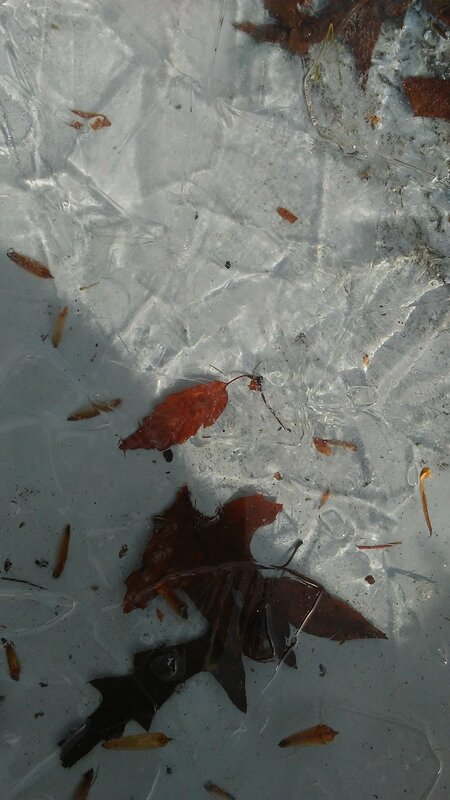 Click to view photos of ice and leaves and Valentine Creek and Lark on this sunny New Year's Eve. 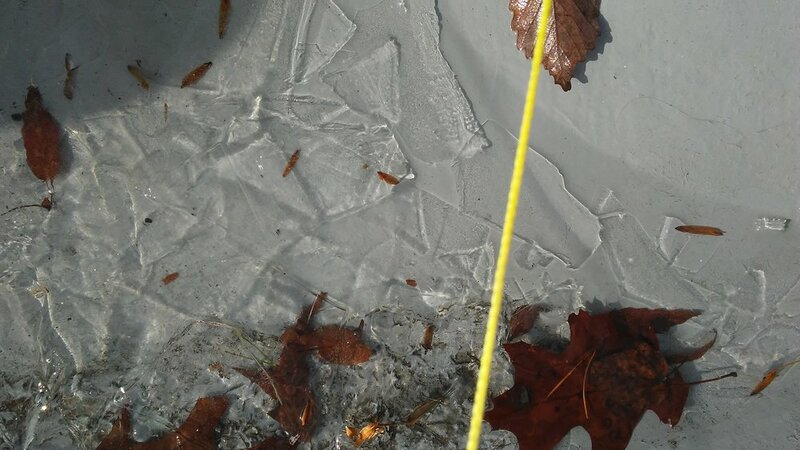 Serious winter still to come, icebreakers on the Chesapeake ... but will be able to sail Lark again at the end of March. Happy 2017 everyone! Click to enjoy! This pot of cactus sat outside in a sheltered sunny corner all summer. 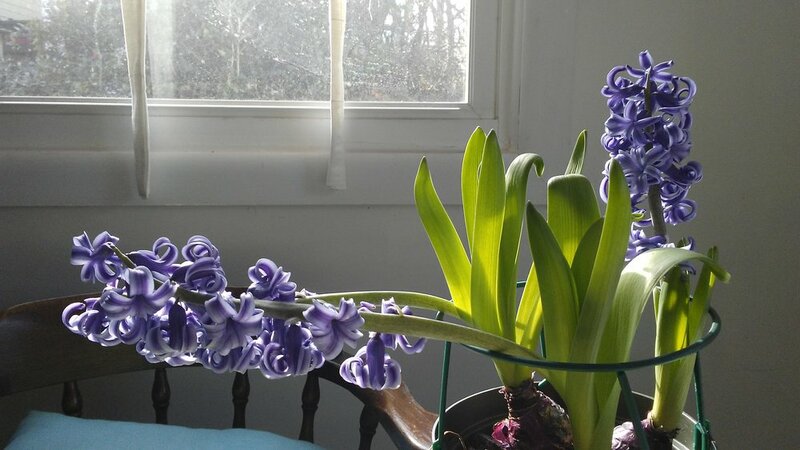 Now that nights are freezing in Maryland, just 10 days in the warm studio windowsill, look at the wonderful blossoms ! Not Christmas, but Thanksgiving Cactus! 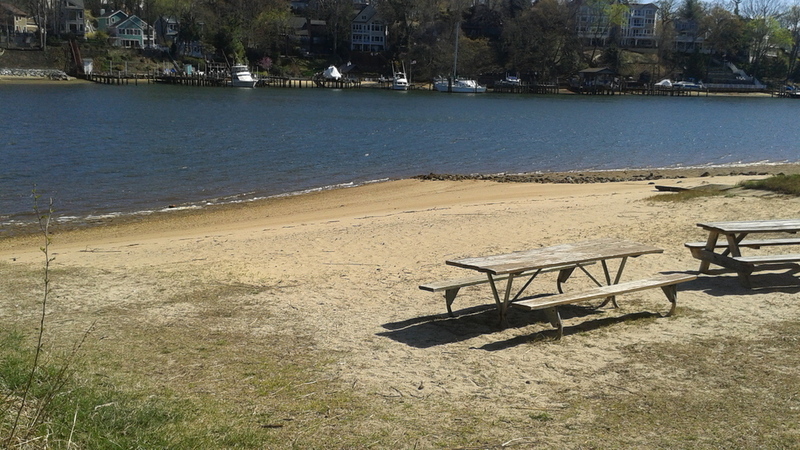 What a difference cool air in July makes here in Maryland! Rowing out to Lark, for a while on board in the early morning, then weeding the asparagus bed, then concocting some sun tea ... green tea with jasmine, handful of mint and juice, grated rind, and sliced up Meyer lemon brought back from the garden of a friend in California .... aaaah .... grateful! Winter's last hurrah .... ? Click to see photos: 6.20 am A touch of spring snow this morning. This will be so good for the early vegetable seeds and the patch of grass seed I sowed already. All good ! Click on photos to see Valentine Creek today. Lark is secured to her mooring pending winter's blast - meantime little sparrows are rustling in the cattails, small schools of fish busy about life, and under the rising tide at the little beach, the sand shows prints of the determined feet of the Great Blue Heron who lives here.